A regatta is a series of boat races. The term typically describes racing events of rowed or sailed water craft, although some powerboat race series are also called regattas. 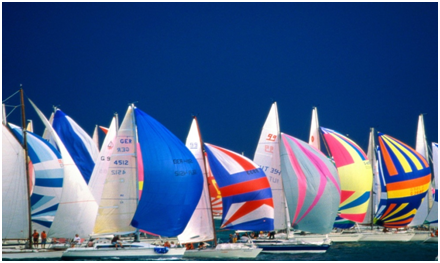 A regatta often includes social and promotional activities which surround the racing event, and except in the case of boat type (or "class") championships, is usually named for the town or venue where the event takes place. Although regattas are typically amateur competitions, they are usually formally structured events, with comprehensive rules describing the schedule and procedures of the event. Regattas may be organized as championships for a particular area or type of boat, but are often held just for the joy of competition, camaraderie, and general promotion of the sport. North America’s oldest regatta is the Royal St. John’s Regatta in St. John’s, Newfoundland every year since 1826. 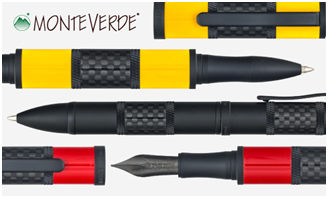 The Monteverde Regatta Sport Fountain Pen - Supreme Writing Performance! Regatta Sport Design completely echoes hi tech spirit through the pen featuring stealthy matte black trim and genuine carbon fiber bands between segments of boldly handcrafted resin rings. Magnetic enclosure makes it faster and efficient. Fountain Pens are available in four different sizes: fine, medium, broad and stub. The Monteverde Regatta Limited Edition Fountain Pen - Rose Gold. Celebrating 10 years of the popular Regatta Sport collection, the new Regatta Limited Edition features rich rose gold in an outstanding combination with the familiar Regatta Sport design of polished carbon fiber.